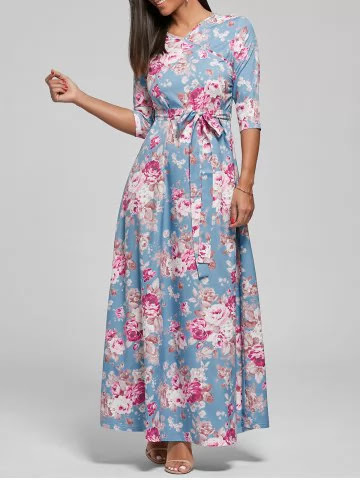 When you want to flirt without much effort, and you are not sure what to wear, the best answer to your fashion dilemma is covered in a maxi dress, a model that in the last few seasons is an essential part of the most beautiful fashion combinations for the hot days. Maxi dresses of delicate cuts, made of lightweight materials, this season are the best allies of the female figure, and their practicality is reflected in the incredible ease of combining. Leather or jeans jacket, combat boots or sandals- with this model all fits well, and from one single piece, with a bit of detail play, it’s possible to create an equally good daily and evening outfit. Rosegal offers you a large collection of summer maxi dresses, in various colors and prints. Their offer is great, and you can find all the styles, with interesting details, such as ribbons, lace … Their dresses are very light and comfortable to wear. It does not feel bad when you carry them. You will look very seductive and beautiful in them on these hot days. 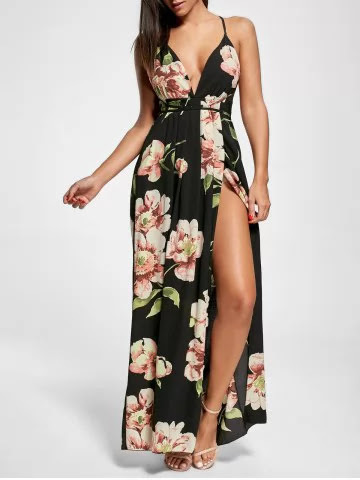 Whether you like multi-color, one-color, open and with V expression, at this online store you will find just the dress that suits you, as well as size and design. Their dresses are very popular and designed by the latest fashion. The most important thing is that you do not have to spend the whole fortune to have an ideal dress. All of their dresses are very high quality and you will surely be wearing many seasons. You can find many models of amazing maxi dress here. Whether you love long-sleeved dresses, or a dress with one shoulder, more or less open, with open or closed back… you will surely find the one that suits you. Explore the store and surprise yourself with a wonderful maxi dress.